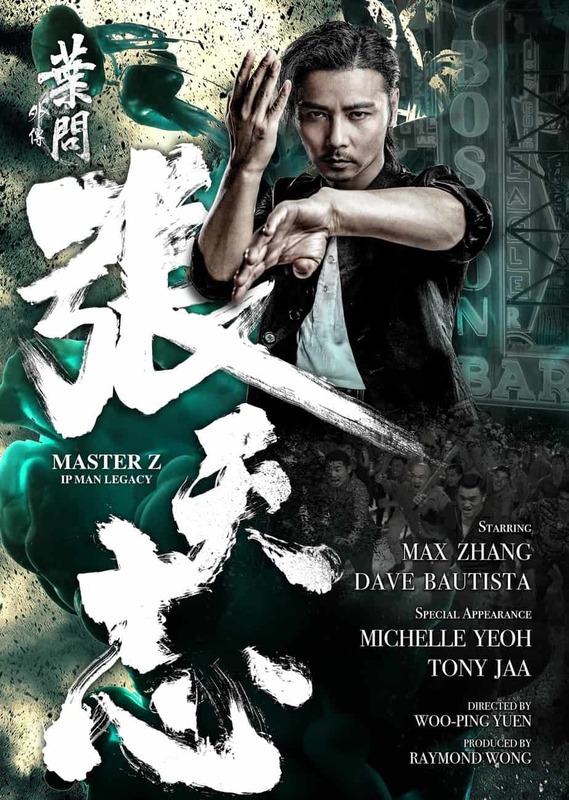 Trailer for New Chinese Film "Master Z: Ip Man Legacy"
Famed Chinese actor/director/choreographer Yuen Woo-Ping (“Iron Monkey“, “Drunken Master”, “Last Hero In China”) has completed production on his latest film inspired by the Ip Man series. The film stars Jin Zhang (“The Grandmaster” “Ip Man 3“, “Hero”) as Cheung Tin-Chi, whom while trying to keep a low profile after his defeat against Ip Man accidentally upsets a foreign martial artist, played by Dave Buatista (“Guardians of the Galaxy” “Blade Runner 2049”), leading to a duel between the two. The film is set to be released in theaters in December 2018 a trailer for the film has been released.